Our Remote Management & Monitoring takes the guess work out of Desktop and Server maintenance. Security is useless without defined policies. With a specifically defined policy in place risky network activity is a thing of the past. Remediation is the name of the game. In today's dangerous climate - passive security is no longer enough. We leverage Security Best Practices in conjunction with industry leading security monitoring and management that takes the Data Breach monkey off your back. Backed by a Million Dollar Ransomware Guarantee* We truly stand above the rest. 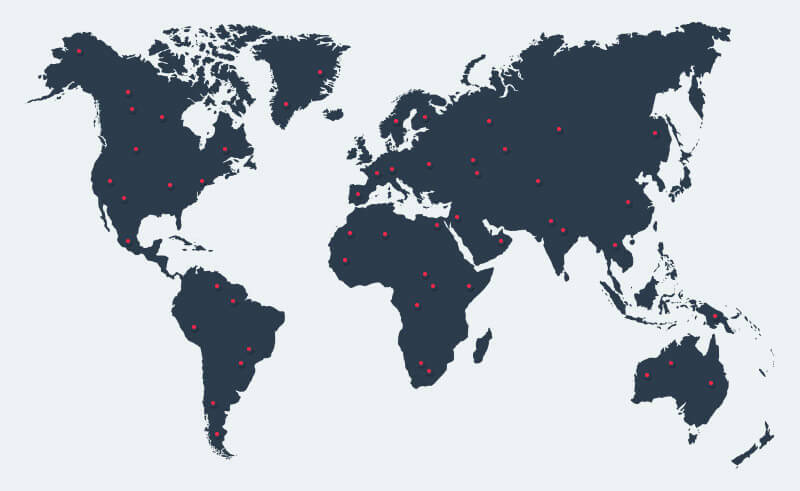 A vast and always growing network of resources all over the globe with thousands of endpoints, clients everywhere are realizing the power of infrastructure hardened against evolving threats. Endpoint protection consist of multiple types of solutions and typically includes antivirus, anti-malware, encryption, firewall and other security measures such as patching and configuration management. Every 39 seconds there is an attempted hack; just a single vulnerability can lead to crippling and costly interruptions. The Average cost of a Data breach has increased 6 percent just in the last year to a whopping 3.6 Million dollars. And remember...It only takes once.